New week with the thriller writer Elisabetta Cametti on the Italian magazine Nuovo (Cairo Editore). Which are the questions of the readers? 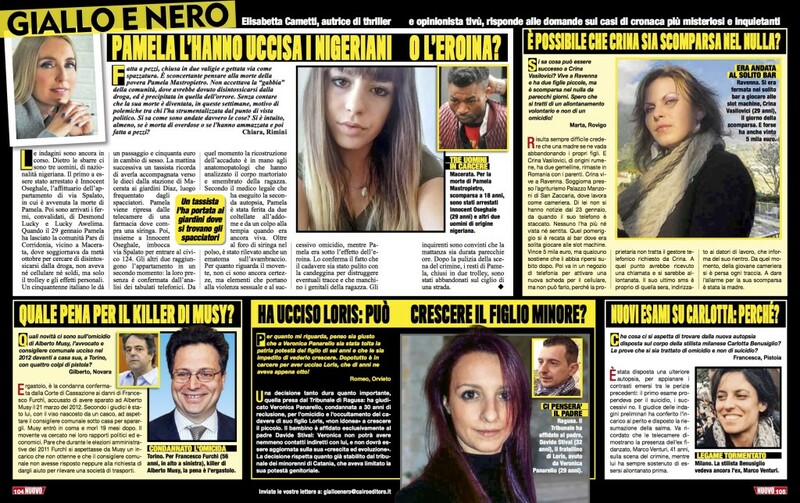 Discover them on her weekly column Giallo e Nero (22/02/2018).